Fuel cell vehicles use hydrogen gas to power an electric motor. Unlike conventional vehicles which run on gasoline or diesel, fuel cell cars and trucks combine hydrogen and oxygen to produce electricity, which runs a motor. Converting hydrogen gas into electricity produces only water and heat as a byproduct, meaning fuel cell vehicles don’t create tailpipe pollution when they’re driven. Producing the hydrogen itself can lead to pollution, including greenhouse gas emissions, but even when the fuel comes from one of the dirtiest sources of hydrogen, natural gas, today’s early fuel cell cars and trucks can cut emissions by over 30 percent when compared with their gasoline-powered counterparts. 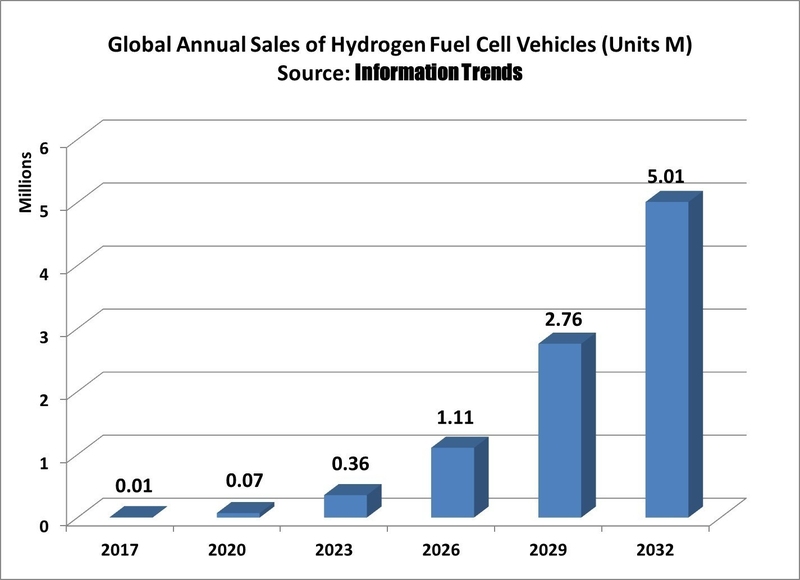 Global cumulative sales of over 20 million hydrogen fuel cell vehicles and revenue of $1.2 trillion by 2032, according to a landmark report published by Information Trends. 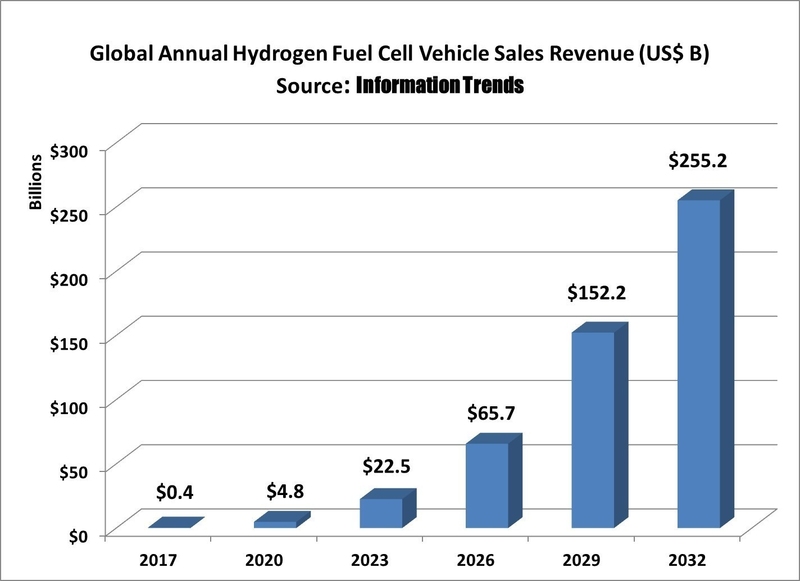 The report analyzes the emerging market for Hydrogen Fuel Cell vehicles. It discusses major players and product rollouts, and it provides both long-term and short-term forecasts. Hydrogen fuel cell vehicles, with a zero emission capability, represent future of the automobile, said Naqi Jaffery, the lead author of the report. These vehicles will be the fastest growing segment of the auto market by 2050, he added. 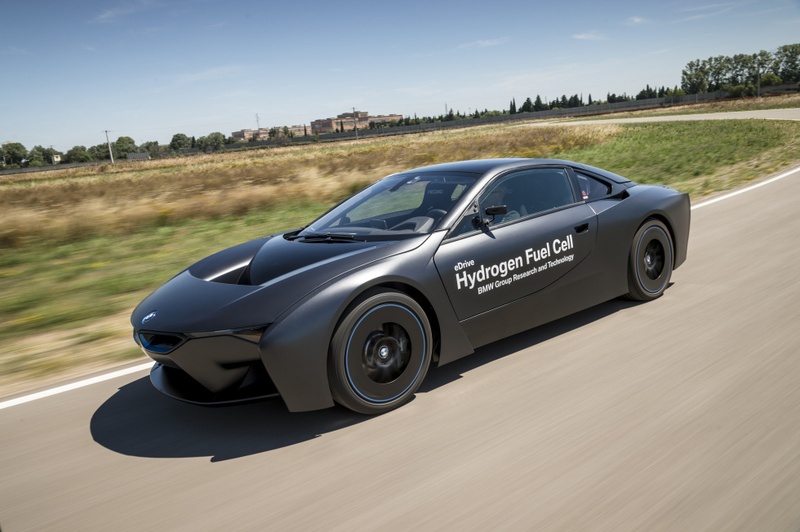 By 2020, sufficient hydrogen filling infrastructures would be in place in several regions of the world, giving an initial boost to the market for hydrogen fuel cell vehicles, reports PRNews wire. Toyota, Honda, and Hyundai have already rolled out hydrogen fuel cell vehicles, and several other major automakers are poised to enter the market, triggering intense completion. The report divides the timeline for hydrogen fuel cell vehicle rollouts into three segments – 2015-2020, 2021-2026, and 2027-2032 – and provides forecasts for each of the three time periods. Information Trends, based in the Washington, D.C. region, is a leading market research and consulting company spearheaded by leading visionary and thought-leader, Naqi Jaffery. The company's areas of expertise encompass Internet of Things, Big Data, Mobile wireless, Short-range communications, Wi-Fi, Cloud Computing and Automotive.